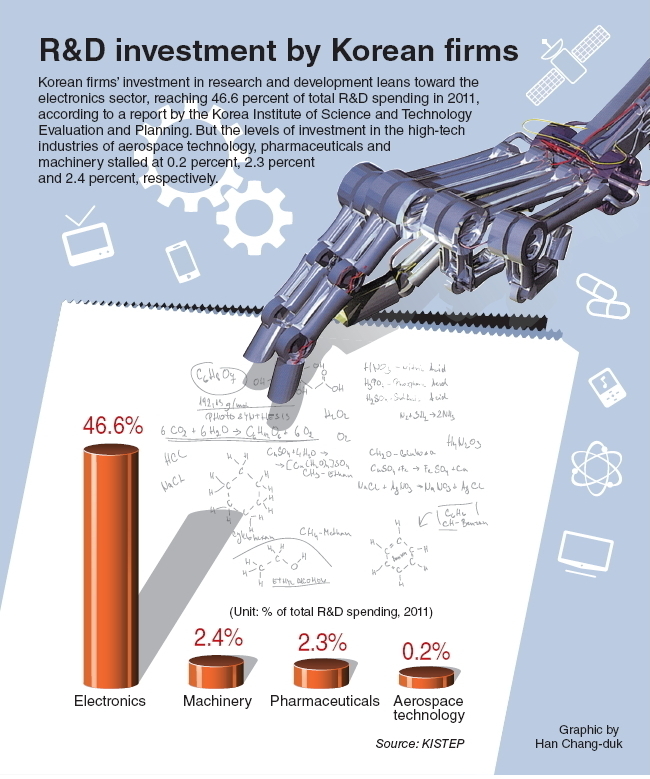 Korean firms’ investment in research and development leans toward the electronics sector, reaching 46.6 percent of total R&D spending in 2011, according to a report by the Korea Institute of Science and Technology Evaluation and Planning. But the levels of investment in the high-tech industries of aerospace technology, pharmaceuticals and machinery stalled at 0.2 percent, 2.3 percent and 2.4 percent, respectively. South Korea faces a bumpy road ahead to be a space power despite the successful launch of a locally assembled rocket that gave legitimate reasons for the parties involved to celebrate. No longer feeling the pressure of the two previous failures, government officials are speaking of bringing forward the launch of the planned Korea Space Launch Vehicle-2 (KSLV-2), a bigger and more powerful successor to KSLV-1, also known as Naro. 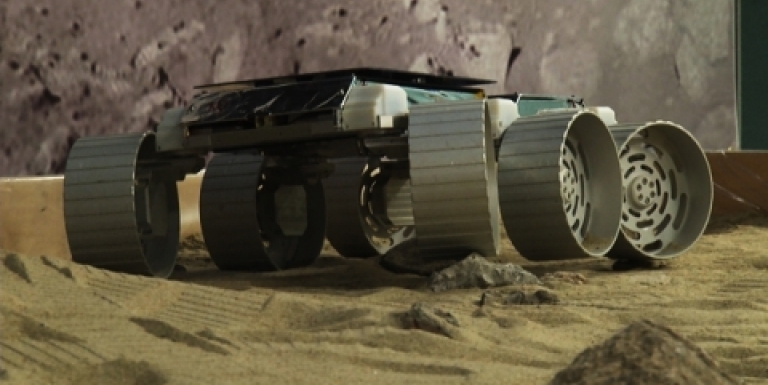 The “self-developed” KSLV-2 is tentatively scheduled for 2021 but the state-run Korea Aerospace Research Institute (KARI) is promoting a date three years sooner. President-elect Park Geun-hye has expressed support for the advanced date, praising the success of Naro as evidence of a positive outlook. But concerns are rising due to an unanswered fundamental question: Does Korea really have what it takes to do this? Fo full article, see Korea Times. South Korea will this week set a more definite date for the liftoff of its Korea Space Launch Vehicle-1 (KSLV-1), the government said Wednesday. The country’s Launch Preparation Committee earlier set Jan. 30-Feb. 8 as possible dates for what will be its third launch of KSLV-1, also known as Naro. “The committee will be convened at 11 a.m. Thursday and select a launch date within the candidate dates after reviewing technical preparations and weather conditions,” the Ministry of Education, Science and Technology said in a statement. 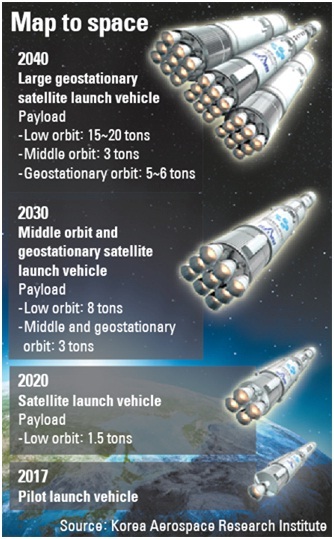 The country’s first two attempts to send the KSLV-1 into space in 2009 and 2010 ended in failures. A successful launch of the space rocket will make the country the world’s 13th nation to send a satellite into space from its own soil. The third launch of the KSLV-1 was originally set to take place on Oct. 26 but was delayed due to a damaged rubber seal in the connector between the rocket and the launch pad. It said, however, that both the date and time were still tentative as bad weather conditions and many other issues could further delay the planned launch. 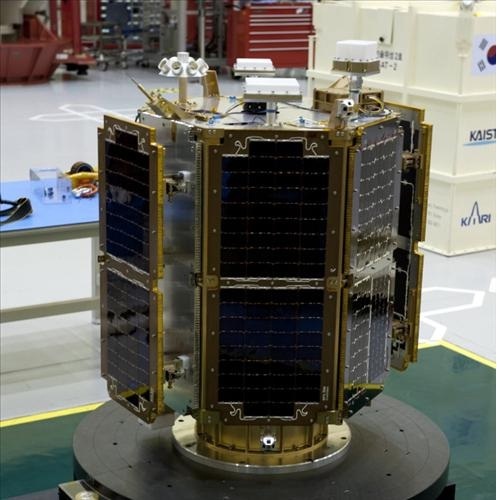 Seoul originally sought to launch the KSLV-1, also known as Naro-1, on Oct. 26 but a broken rubber seal in a connector or adapter between the rocket and its launch pad forced it to reschedule its third attempt to put a rocket into space. The first two attempts, in August 2009 and June 2010, both ended in failure.